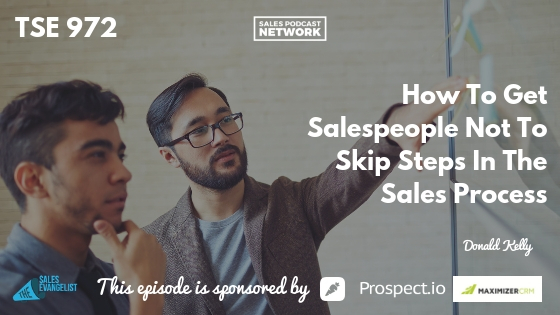 On today’s episode of The Sales Evangelist, we discuss the value of following every step in the sales process, and how you can prevent your sales team from skipping steps in the process. Sales processes aren’t intended to add burdens to your role as a sales leader, but should actually free you and your team to be even more successful in your roles. In the context of military operations and aircraft safety, it’s easy to understand why details matter. It’s easy to understand why the people involved have to prioritize safety by following checklists and double-checking equipment. It’s not as easy to understand why every single step in a sales process matters, but it’s absolutely true that the small details can impact our outcomes. Although skipping steps in the sales process won’t kill us, it will absolutely affect our success. If we find that we’re struggling to close deals, it may be because we aren’t following a detailed cadence process. Our decisions to skip steps can stem from overconfidence or pressure to close a deal from those in authority over us, but skipping steps will eventually impact our sales process. Just as it does for the military, a decision to overlook small details can impact the team’s ability to accomplish the larger mission. Imagine a sales manager who oversees 10 deals that are scheduled for demonstration. She has statistics that show that about 60 percent of the deals will close, so she forecasts that. Of those 10 deals, though, not all of them are weighted the same. Five went through the complete sales process, and five of them didn’t, maybe because they were repeat customers or they came to the sales rep as a warm lead. The sales reps might have assumed it was ok to skip qualification. In other cases, if the sales process feels cumbersome, they may be tempted to skip steps that they deem unnecessary. Make sure your sales reps understand why the steps in the sales process are important. Review the sales process with them in a one-on-one setting to make sure they are accurately following the process. How many deals are you working right now that will close? Of those deals, how many of them have followed every single step? 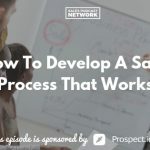 Ask sales reps who are successfully using the sales process to share some of the things they have learned throughout the sales process. If one member of your team is having great success with demonstrations, ask him to share how he is successfully converting effective leads into clients. Ask another team member who successfully people from leads into prospects to share how she does it. Allow your team to benefit from the experience of their peers and give everyone on the team an opportunity to participate. I saw a suggestion on Hubspot recently that helped me when I was a software sales rep working with complex sales scenarios. Use graphs to outline each stage of the sales process and what must happen along the way. It provides a visual map that your team members can follow when a new prospect appears. Graphs provide a repeatable process to look at throughout the process. Knowing how to move the deal forward will help your team successfully interact with the buyers. Following every step will ensure that, by the time you get to the presentation, you’ll have all the information you need to successfully address your prospect’s challenges and struggles. Your system will work best if people actually use it. Have your team roleplay scenarios, and include scenarios in which someone is trying to pressure your team members into skipping steps. Address how they would make sure to follow every step in the process. Your team members may worry that they will lose deals if they insist on following every step, but those people who refuse to follow your process won’t likely close anyway. They may be just looking for quick info. Those people who want to make a great decision will appreciate your attention to detail and they’ll view you as professional if you stick to the process. Sell them on the idea that you’re doing this to help them make sure they make the very best decision.